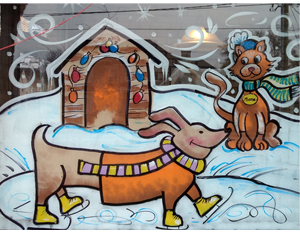 Christmas Window Art Season is here! 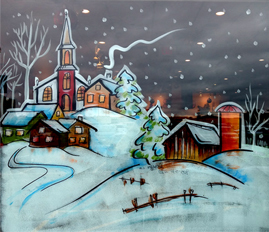 Click on Window Painting tap to see more samples of our work. 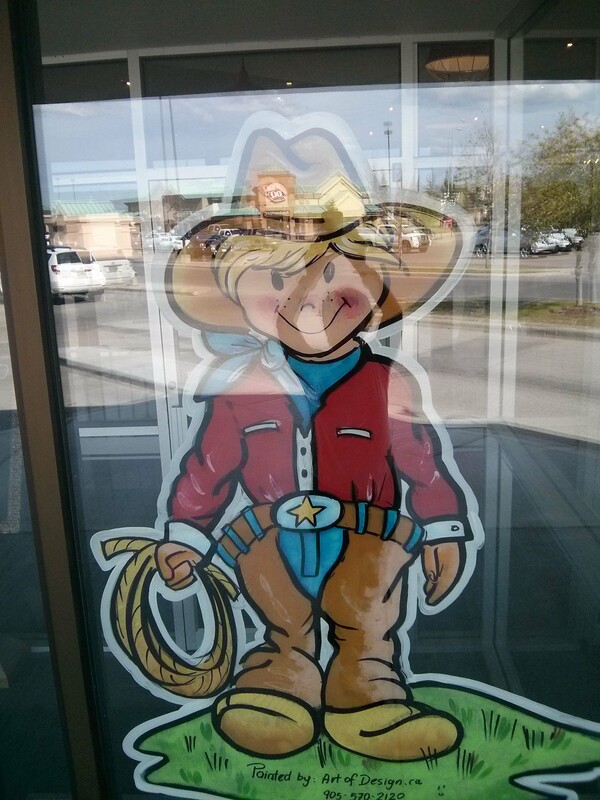 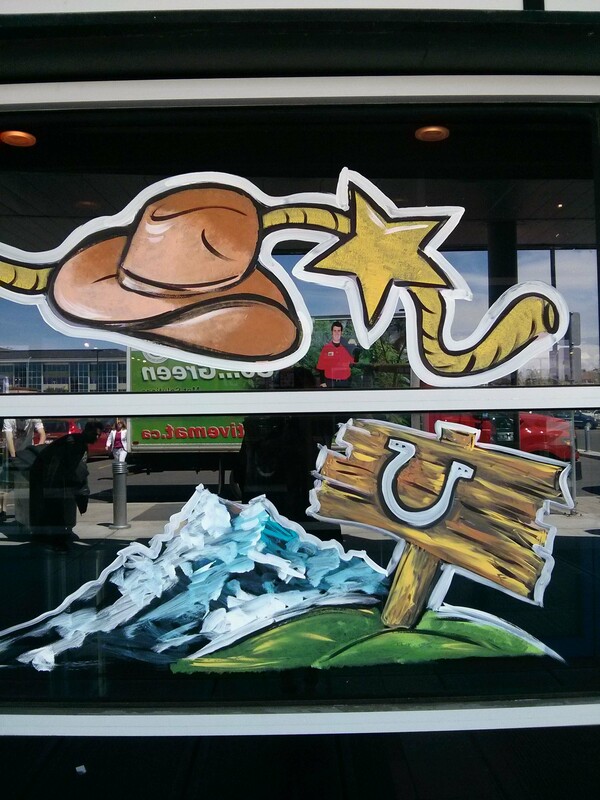 Stampede - window painting - Book us now! 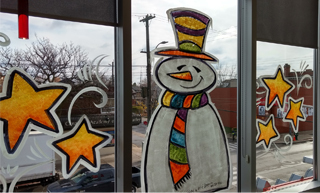 Our company possesses over twenty years of experience in the graphic design world, websites, and special event invitations.We have the expertise to coordinate all aspects of your project, from concept to illustrations to web development and printing.